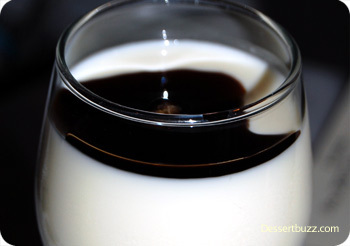 I was in the theater district on Saturday evening and all night long I was thinking about a quick trip to Kyotofu, one of the original destination dessert restaurants in NYC. 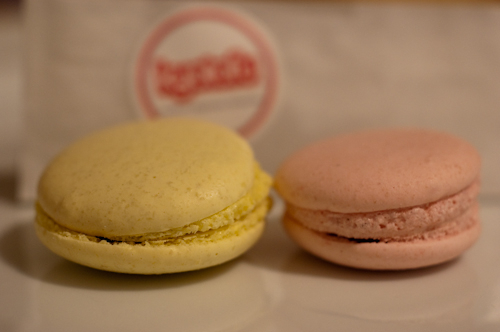 I have always been a big fan of their cupcakes which are really more like little souffles but I had never tried their macarons. Which is odd since I tasted nearly half of Manahattan’s macarons a few weeks ago. Eating a few more for comparison was just a good idea. 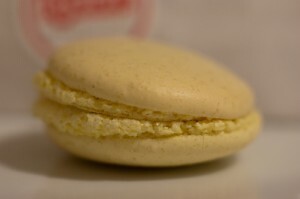 The passion fruit macaron with chocolate ganache inside was a solid winner in my book. A perfectly soft but not stale outside and a smooth layer of chocolate paste inside. I asked when it was made and the host wasn’t sure but it seemed like it was either very early in the morning of that day or at around noon. 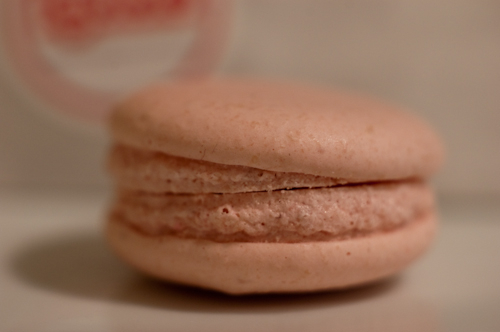 The strawberry macaron was more straight forward. 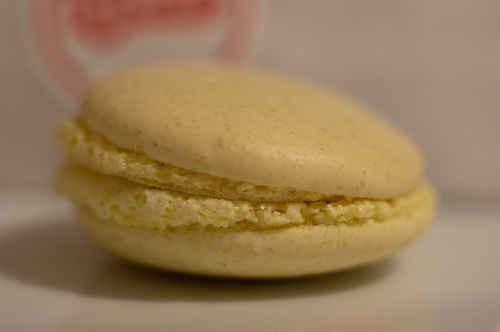 It had the same nice texture as the passion fruit macaon but it was strawberry through and through. No Ganache of any kind inside. 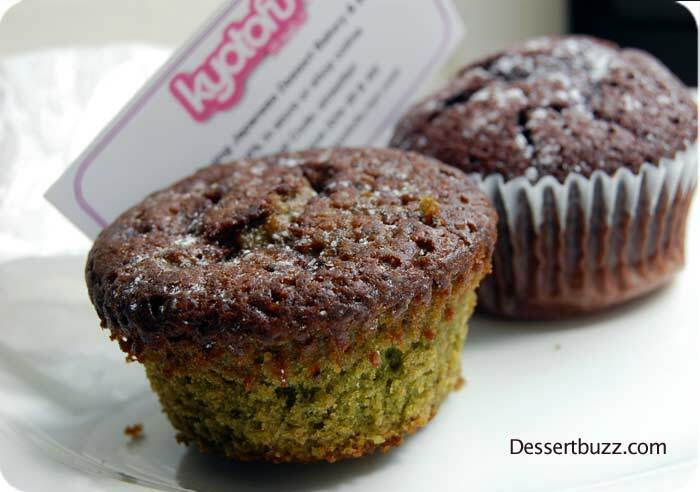 Of course, Kyotofu also has plenty of fancy plated desserts too. I actually once celebrated my birthday their with 6 friends but unfortunately, that was one of the posts that was lost when DessertBuzz crashed back in Feb.
Pssstttt, dude, macarons are for chicks…. No way, everyone likes dessert, men and women alike. Whenever I’m not at target practice or driving the monster, I check out Dessertbuzz! That’s what I like to hear! BTW, I dig the post about “La Patisserie des Rêves – Paris” – those pastries look like works of art and packaged like art too.